Did you know that about 75 percent of no-heat calls are due to not having a routine maintenance check? Do not wait for winter to hit and be sure to get an inspection. Routine maintenance for HVAC will not only solve your ventilation problems, but help save energy, and reduce health risks. The more you ignore the problem as you try to bare the cold; major breakdowns are more likely to happen. Without a regular maintenance routine and proper running, your heater will have to work even harder, using more energy, increasing your energy bills. The smartest idea would be to get a preseason maintenance preformed to ultimately save you time and money in the long run. 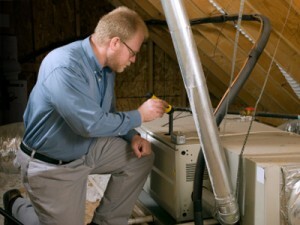 Routine maintenance for HVAC is not only important for finical reasons, but safety as well. A typical checkup will include thermostat settings to keep you comfortable, lubricate moving parts, tightening electrical connections, and checking system cycles. Not only will you be preventing a breakdown, but also detecting risks of carbon monoxide leaks which lead to common headaches, nausea, dizziness and possibly death. Just like a car, your heater and cooling need tune ups to insure not only reliable, but safe operations. So save the headaches and do not go through another winter without getting your heater fixed this year. American Cool and Heat has the expertise needed to work on any heating problem. Our technicians are here to get you winter ready efficiently and safely.